How deep is your Harry Potter love? Enough to make it into your wedding? Your parenting? 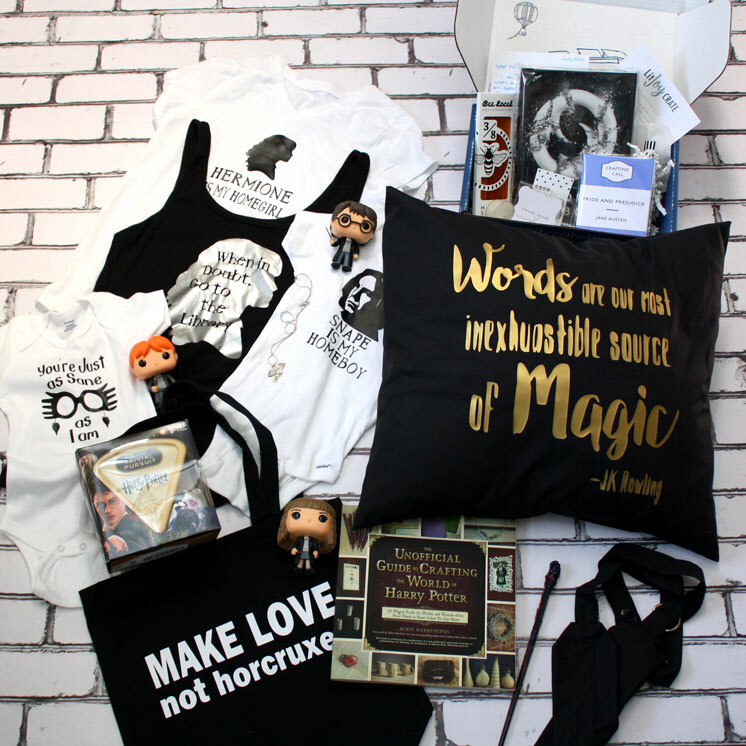 Today’s Happy Harry Potter bunch is perfect for the truly devoted. From stuff for baby, kids, and even tying tying the knot we’ve got your family covered for every stage of life. 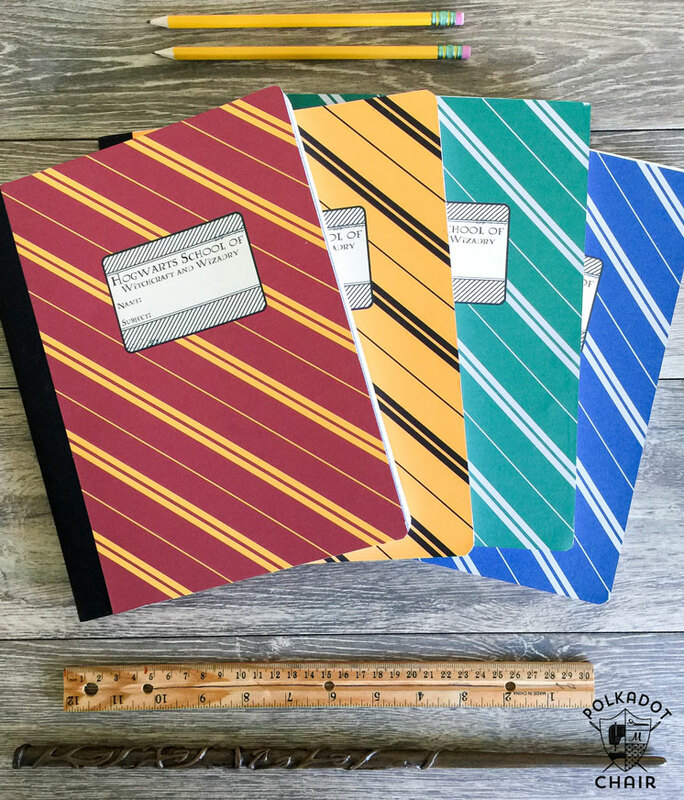 Back to school season is creeping up on us and what a better way to dull the blow than with some stationary and not just that but awesome DIY Hogwarts House Notebooks. How fabulous are these notebooks that Melissa from Polkadot Chair made!? She also has a free downloadable template for the covers so you can easily make your own! 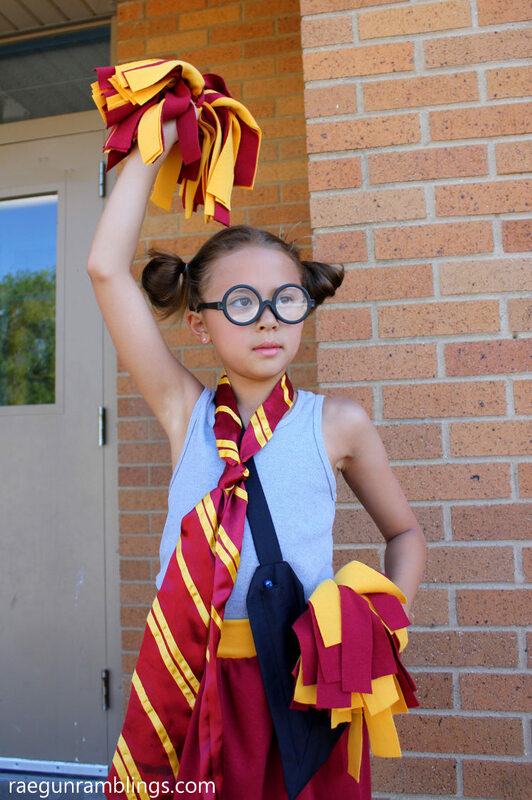 You know we are totally commited Harry Potter fans around these parts but this is a whole other level. I WISH I had thought to do a Harry Potter themed wedding. 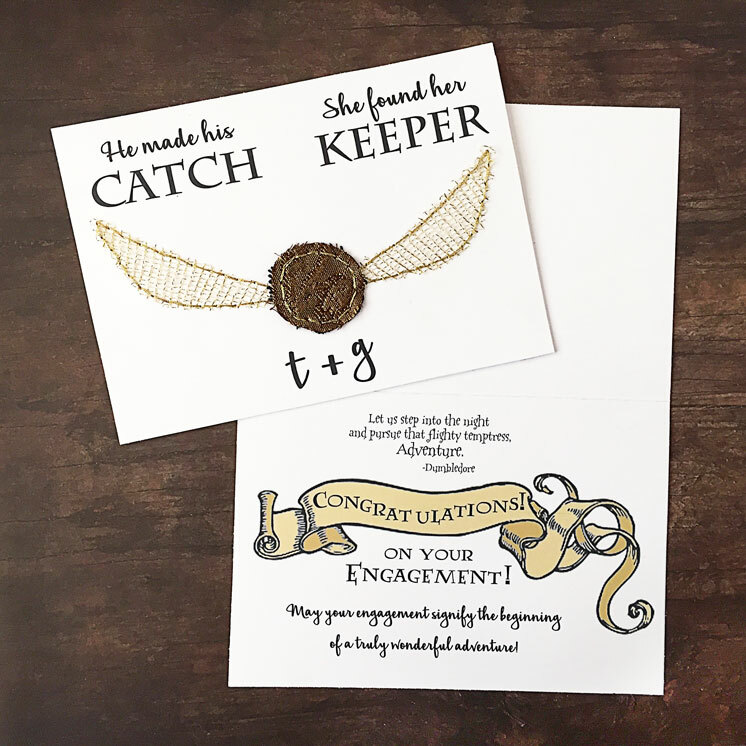 These Quidditch Themed Engagement Announcements from Kim over at Bugaboo City are so fabulous! 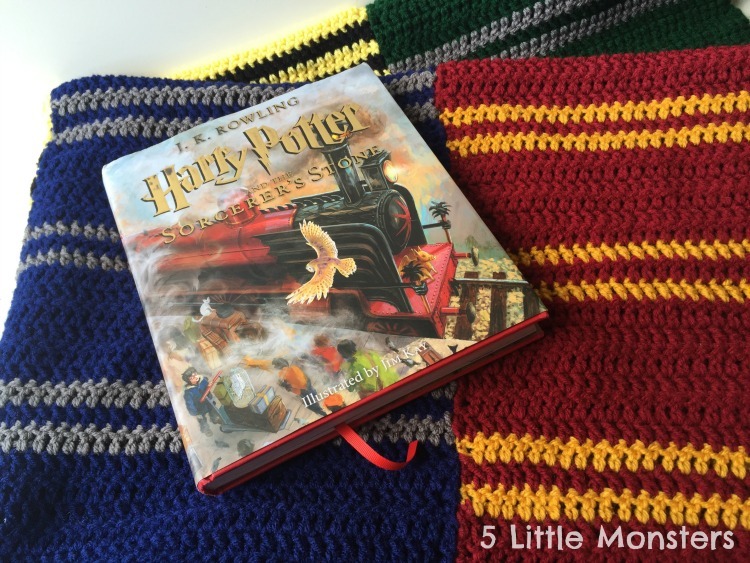 How cozy does this Hogwarts House inspired blanket from 5 Little Monsters look!? I love how it totally looks like the house scarves ahh SO stinking awesome. I did a guest post over at Today’s Creative Blog and shared a super simple Gryffindor Pom Pom tutorial. 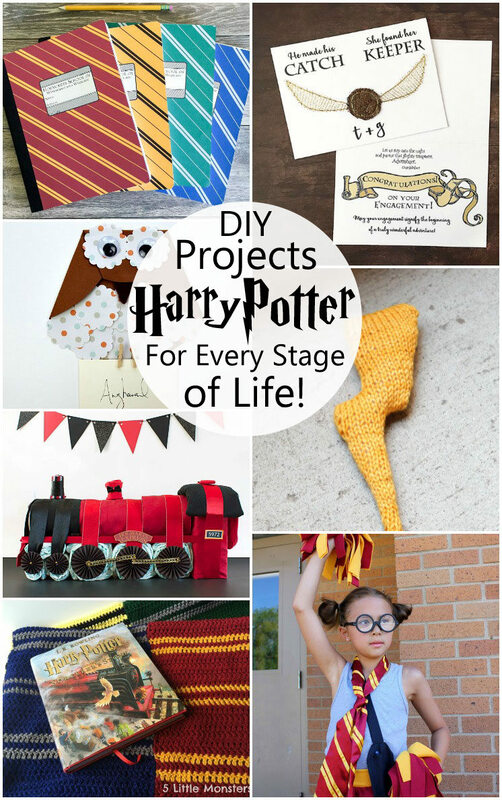 Its a quick and easy project that even the kiddos could help with! The Owls in Harry Potter are awesome and Erin from My Very Educated Mother made the cutest DIY Paper Owls! 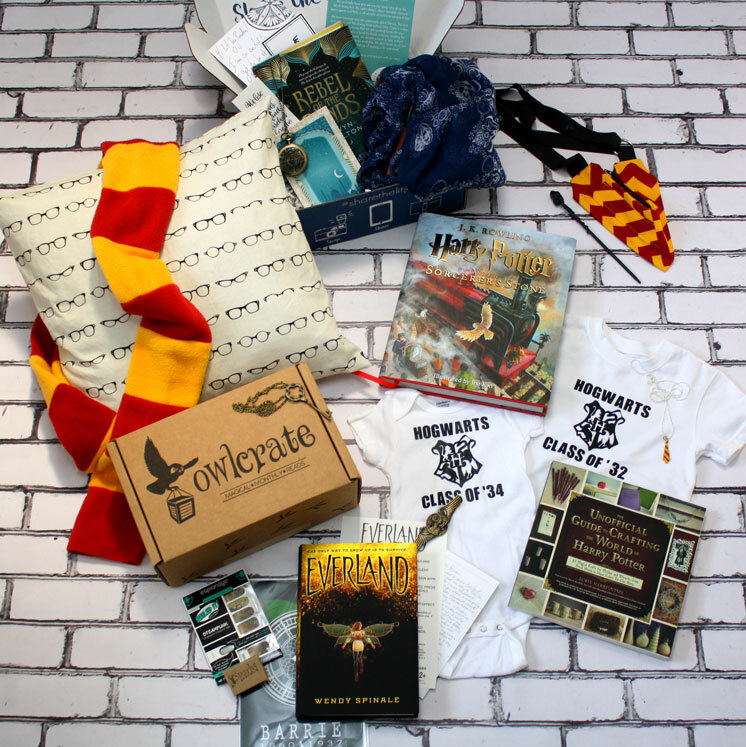 After you have your Harry Potter Wedding you TOTALLY need a Harry Potter baby shower. 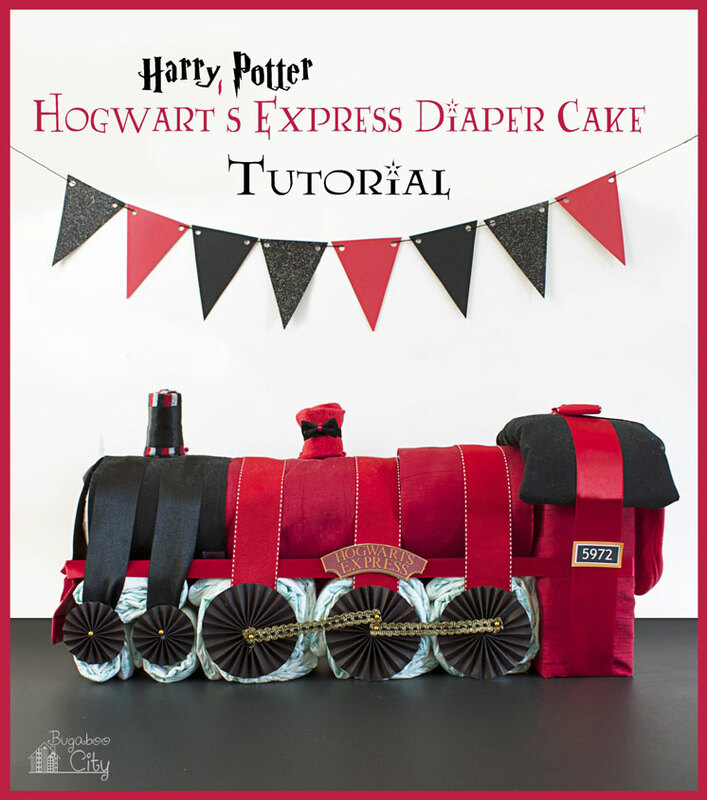 Now amazing is this Hogwarts Express Diaper Cake that Bubaboo City made? I’m completely blown away by the awesomeness. You guys, it’s Harry’s Scar!!!! Heidi from Hands Occupied is back with another magical Harry Potter inspired knitting pattern! 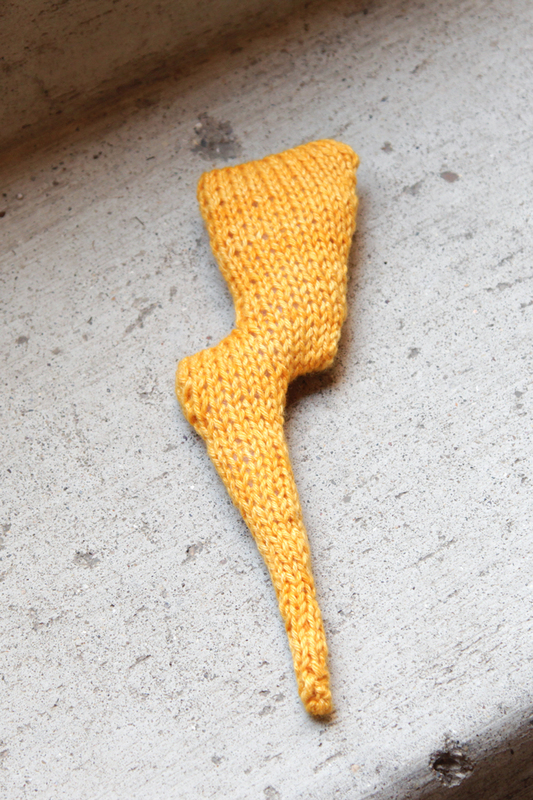 Hop over to see the awesome Toy Lightning Bolt Knitting Pattern.